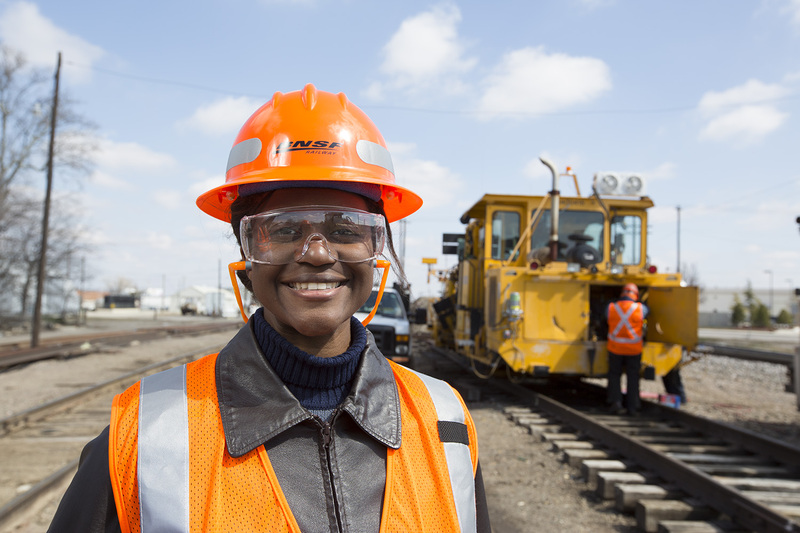 Freight rail employees are highly skilled professionals who are among the best-compensated workers in the nation. The industry attracts employees from a wide range of backgrounds —from high school graduates to those holding graduate degrees — to help safely transport the raw materials, products and finished goods that sustain the nation’s economy and people. Railroads provide the opportunity to build lifelong careers in fields such as engineering and dispatching, in law enforcement, information technology and industrial development. And with a strong track record of hiring America’s veterans, rail companies are military-friendly employers. Because of high wages and benefits, technical training and professional growth opportunities, freight rail employees often stay in the industry for their entire careers. Many have family railroad legacies that stretch back generations. In 2017, freight railroads had approximately 165,000 employees. Freight rail employee compensation, including benefits, averages approximately $120,000 per year, among the highest of any major U.S. industry. By contrast, in 2017, the average full-time employee compensation (including benefits) in the U.S. was $76,500. Nearly 20% of current employees are veterans, and railroads aim to hire many new employees with military backgrounds. Railroad retirees are covered by the Railroad Retirement System instead of Social Security. Today, over 650,000 beneficiaries receive more than $12 billion in benefits from Railroad Retirement annually. Do you have what it takes to be a Beer Conductor?